Midtown Crossing at Turner Park is a unique 15-acre, $300-million mixeduse development under construction in the heart of Omaha's historic Midtown neighborhood. Consisting of seven towers, each eight or nine stories in height, with a total of more than a million square feet, the development will offer 297 luxury condominiums and 268 apartments, many with views of the recently revitalized park. Midtown Crossing also features more than 220,000 square feet available for restaurants, retailers and entertainment venues as well as parking for more than 3,000 vehicles. 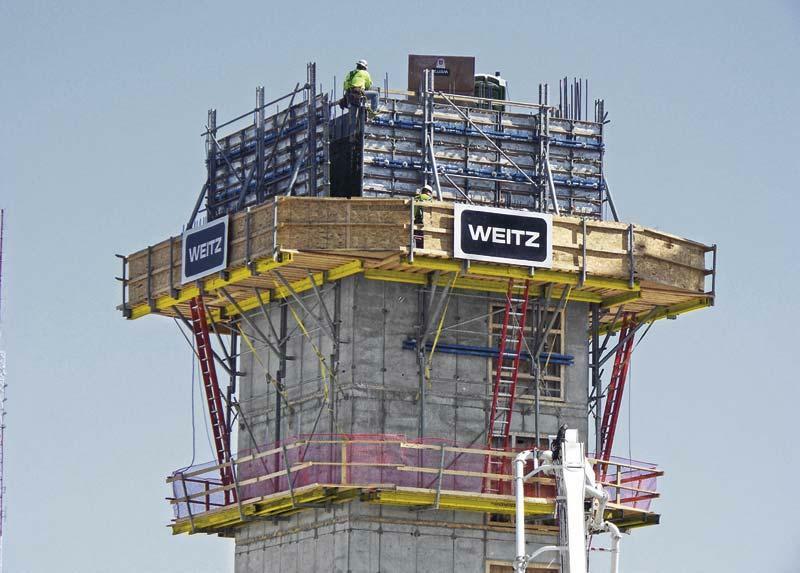 With a fast-track schedule to meet and cranes already ordered, general contractor The Weitz Company needed a versatile formwork solution, so they selected Doka's framed formwork Frami for use on the outside of the towers as well as shaft platforms on the inside. With their easy assembly and adaptability to the crane, the Frami panels proved ideal for the project. 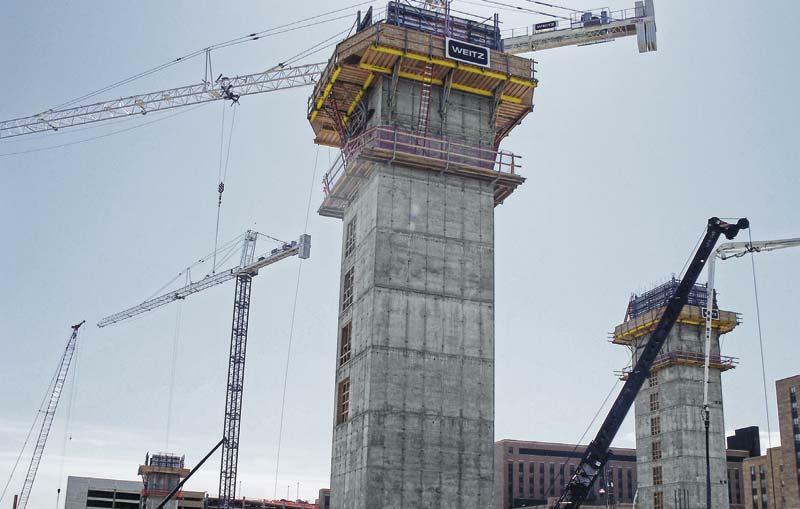 The system also was able to accommodate the project's varying pour heights. The development is on schedule to be completed in June 2010. The ease of assembly and adaptability to the crane, Doka Frami panels proved to be the ideal solution for the project. Thank you for your interest - Midtown Crossing. Thank you very much for your interest - Midtown Crossing.